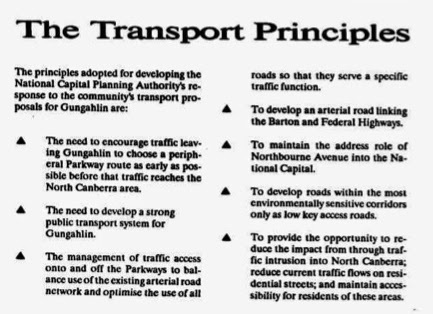 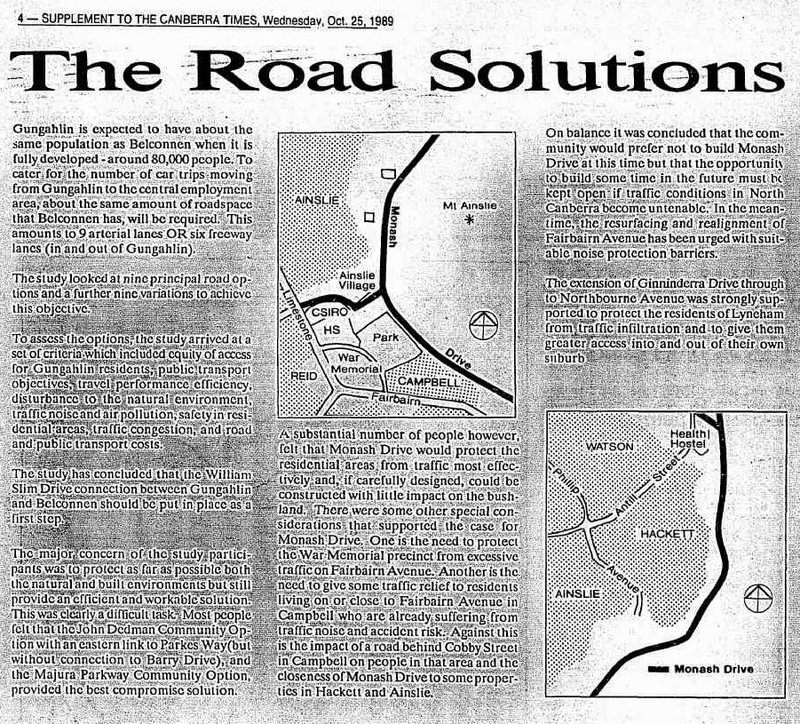 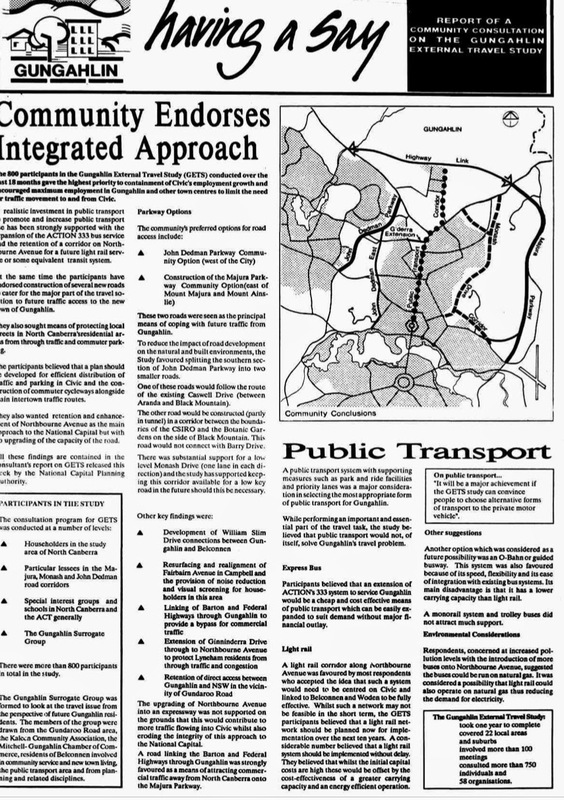 In 1989 the Gungahlin External Transport Study (GETS) was undertaken. 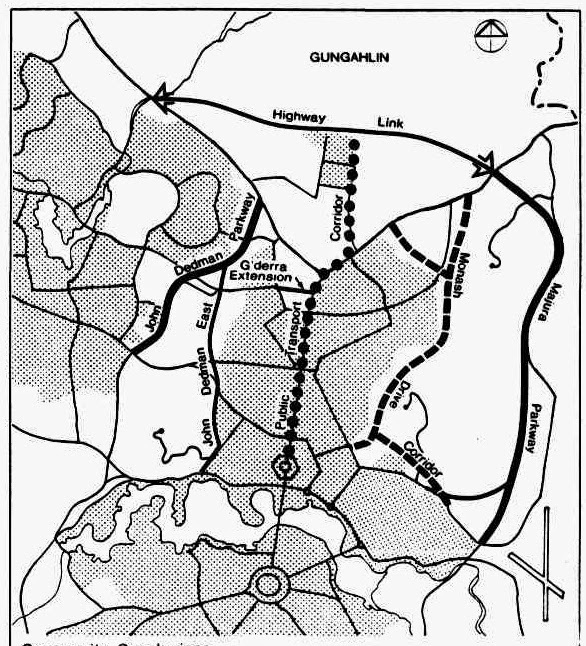 It was meant to assess future transport needs for Gungahlin residents - before Gungahlin had even been mapped out or a single new home constructed. 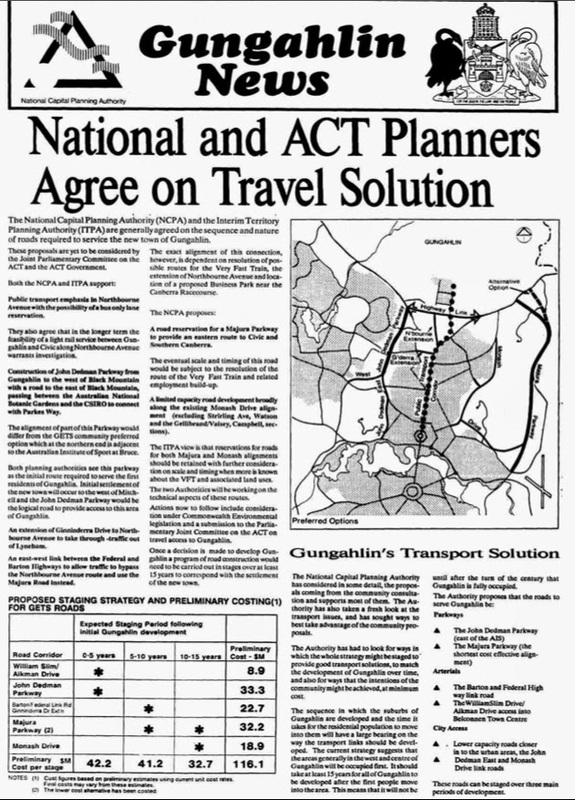 These articles are from the Canberra Times and can be found online at Trove. 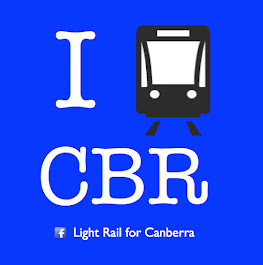 ACT Light Rail have a copy of the resulting report, but it is in hard copy and yet to be scanned. 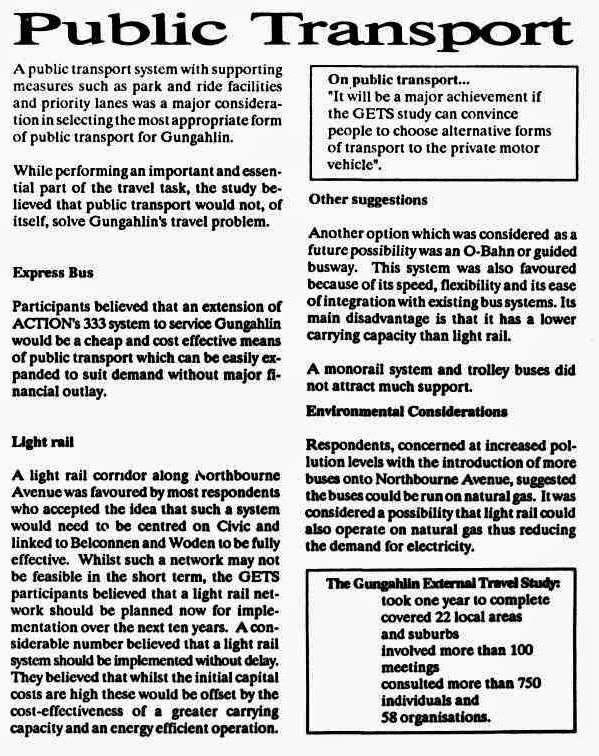 Following the GETS study Gungahlin ended up with inadequate roads and finally in 2012 a light rail proposal. 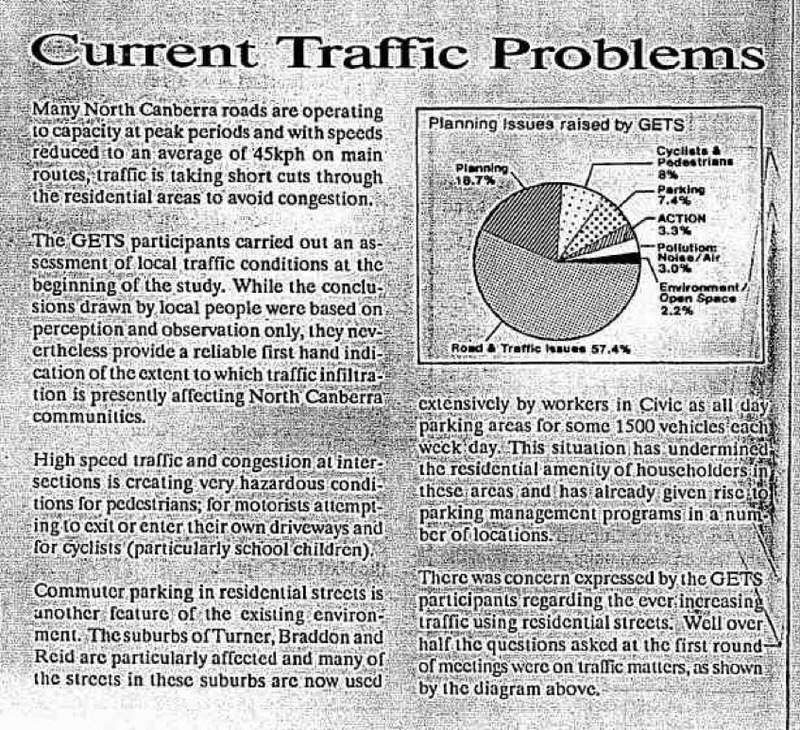 This 1991 CT article is quite prescient.